Last year, the Class of 2017 was the first graduating class of students in Dual Language. Eighteen years following the establishment of the program, CHS is experiencing a rise in the number of Dual Language students. The Dual Language program starts from kindergarten through eighth grade, though students can apply in first and up to second grade. According to the CHCCS website, the elementary schools involved include Glenwood for Mandarin, Frank Porter Graham Bilingue and Carrboro for Spanish. The program extends to Culbreth Middle and McDougle Elementary Schools. For Spanish, students’ test results determine whether they place into level three or four. An additional test offers students the opportunity to obtain credit for Spanish 3 and then place into AP Spanish Language and Composition or level 4. Recently, the foreign language department experienced a significant rise in the enrollment amount of dual language students. Maria Lopez and Amy Olsen, Spanish teachers, receive students entering Spanish 3 and 4 respectively. Olsen spoke of the benefits related to learning one or more foreign languages. “I think it is important to be not just bilingual but multilingual. It is beneficial in terms of being able to communicate,” said Olsen. While students from Dual Language display comfort in their speaking abilities following nine years of practice, “most students need to go to [Spanish] 3, because the emphasis [of Dual Language] is being comfortable speaking, so there isn’t as much grammar,” said Olsen. 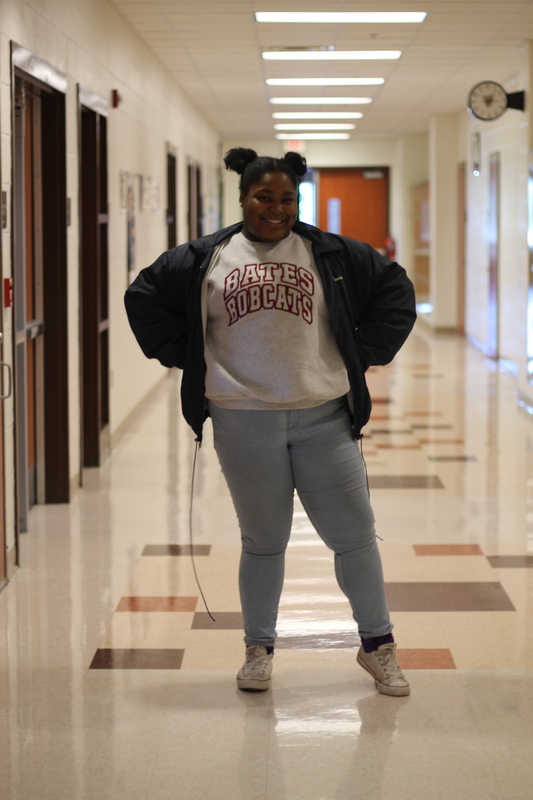 “I was learning more about the culture of Spanish speaking countries, and this [class] is more based on the how we should speak it,” said Anderson. Olsen acknowledged these same ideas, as she offered advice to students unsure of which class they would take. One thing that makes CHS unique is the amount of diversity in the student body. There are many foreign transfer and foreign exchange students who contribute to the community of CHS. Arianna Ponte, junior, just moved from Denmark and has been living in the US for one month. She loves how friendly and accepting everyone at CHS is and has enjoyed playing for the JV volleyball team. French is one of her favorite subjects this year, but she enjoys all her classes. In germination, you can choose the classes you want to take rather than have standardized classes that every- one in the grade takes. It surprised Ponte that in high school and middle school, students choose their electives and have classes with different students. Ponte explained that for the first ten years of her school she had the exact same students in every class. 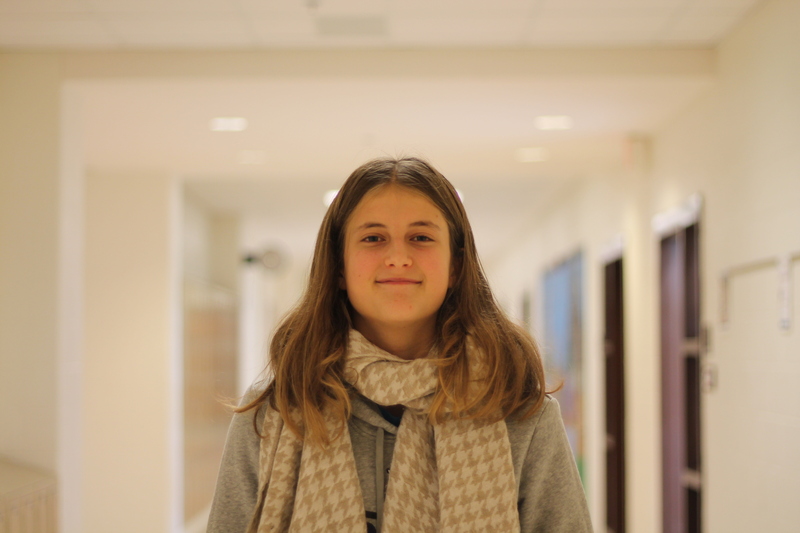 Carolina Ghisoni, junior, is an exchange student from Italy and has been in the US for about a month and a half. 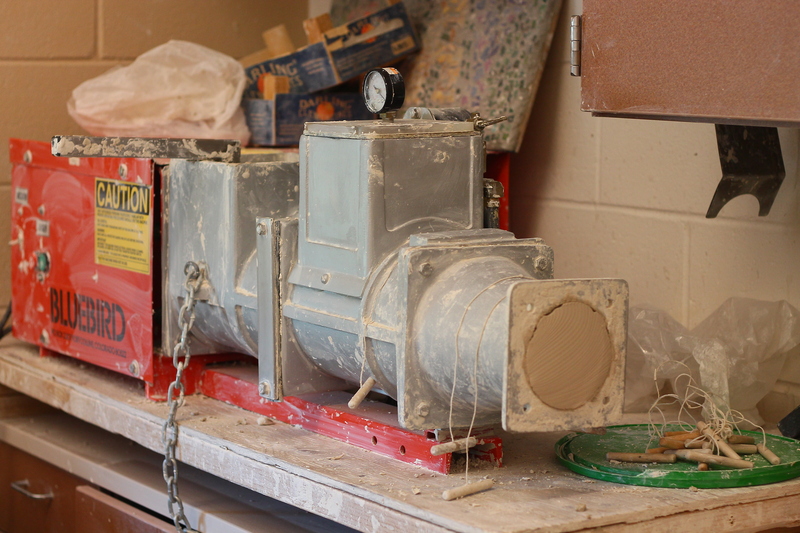 Her favorite class this year is Ceramics, and her favorite teachers are Anna Lewis and Blake Rahn. This year, she is most excited for prom and has enjoyed playing for the tennis team. 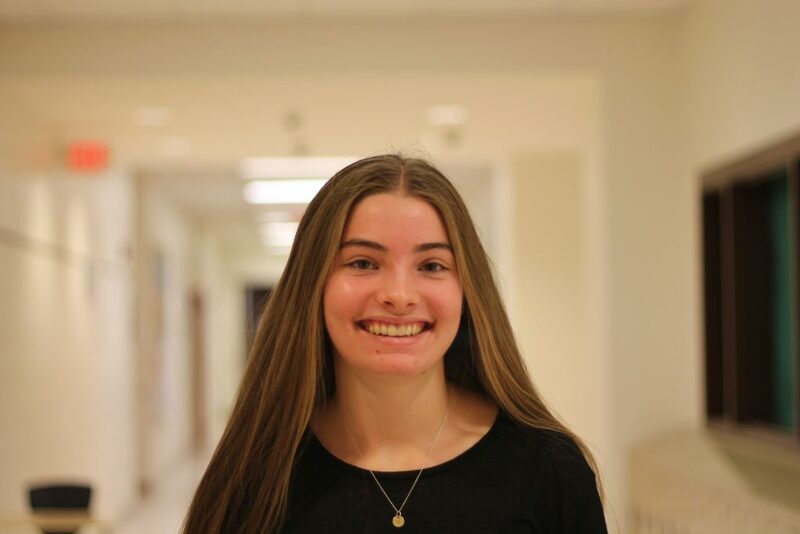 “[I like] the fact that you have a lot of people coming from different places and different social groups,” said Ghisoni on her favorite aspect of CHS. Playing for the school tennis team is another new experience for Ghisoni. “[In Italy] we don’t have clubs or sports, so if you want to play a sport you have to do it on your own, and that is not as fun” said Ghisoni. Junior Vilja Saether is an exchange student from Norway and has been in the US for a month and a half. 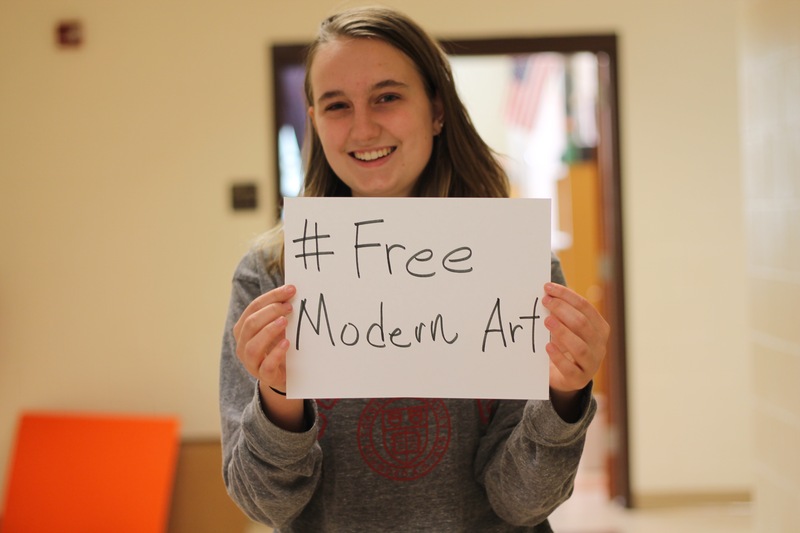 Her favorite class this year is Adobe Visual Design, and she runs for the cross country team. The foreign transfer and foreign exchange students are a part of CHS through sports teams, clubs and classes. They help to maintain the community and diversity of CHS. Make sure to give a warm welcome to our foreign transfer and foreign exchange students. This is a discussion about art from someone who is completely unqualified to lead one. Consider yourself warned. It’s a classic story. Someone walks into a modern art museum. They laugh and point at the white canvas on the wall or the copper-colored cube on the floor in front of them. To them, I say “you’re right.” But you’re thinking about it the wrong way. I think the distaste for Modern Art most Americans hold comes from the false impression that a piece needs to have a hidden meaning or deeper purpose to be considered art. Minimalist art encourages viewers to separate the art from the artist. It contains no symbolism, metaphors or allusions, and it cannot be better understood by learning about when and where it was made. I find this incredibly freeing. For once, art is simply art: a concept that makes Minimalist art uniquely egalitarian. I don’t need to be an Art History major to understand that black and white lines on a canvas are just black and white lines on a canvas, and that they look nice. Most Minimalist artist is characterized by clean shapes, a small range of often neutral colors and simple designs. The Minimalist movement emerged in the late 1950s and early 1960s as a protest against the then-popular Abstract Expressionist movement. Perhaps the most famous Abstract Expressionist is Jackson Pollock, who created large webs of colored squiggles by laying his canvas on the floor and dripping paint on it from above. Through seemingly random, Pollock’s drips were very much intentional, even if they weren’t strictly calculated. Pollock claimed to be painting directly from his subconscious, surpassing any sort of thought or reason, and that anything he produced was a unique insight into his mind. Sound pretentious? Sorry, Pollock, but I think so. Minimalism rebelled against everything Abstract Expressionism stood for: most importantly, the idea that art was intimately reflective of the artist, and that it was chaotic and objectively messy. If you don’t appreciate the aesthetic of Modern Art, that’s fine; I’m not here to try to change your tastes. However, I think many of us can at least acknowledge the beauty in the simplicity that is Modern Art. It’s the same reason we look through home decor catalogs and stop at the spreads that depict beautifully open floor plans and a contemporary, sparsely decorated kitchen. I find it strange that some people can enjoy modern architecture or modern interior design but not Modern Art. These spheres all use similar aesthetic tools. However, Modern Art goes as far as to say that elements we enjoy but also consider utilitarian in modern architecture and interior design are still art when considered alone. If there is one thing I do know about art it’s that it is what you make of it. If you hate looking at Modern Art because it bores you out of your mind or you prefer your art as complex as possible, that’s fine. But please, don’t tell me you don’t like Modern Art because it’s pointless or because you don’t get it. If you feel the slightest bit more calm when you walk into a Modern Art gallery, or you think that huge blue octagon on the wall is actually kind of cool, then you get it. You’ve appreciated Modern Art for what it is, and the fact that it isn’t anything more than it claims to be. Finally, don’t tell me anyone can make Modern Art. If you think that’s true, consider this a dare; make a piece of Modern Art, and sell it to any established museum. Only then will I’ll reconsider your claim. Roundabouts. They seem to be popping up everywhere. There are three around CHS and more on the way throughout Chapel Hill. Studies show that they are more effective in directing traffic than stoplights—something that the rest of the world has recognized for decades but the US is just acknowledging now. One issue remains with roundabouts though: nobody seems to know how to use them. Here, in a new series from The Jagwire, is a guide for all the confused drivers out there. As you approach a roundabout, first scan the entire roundabout surrounding roads and sidewalks for incoming cars, pedestrians, and cyclists. Focus especially on on any traffic that is coming around the roundabout from the left of your entrance. about, you need not yield. 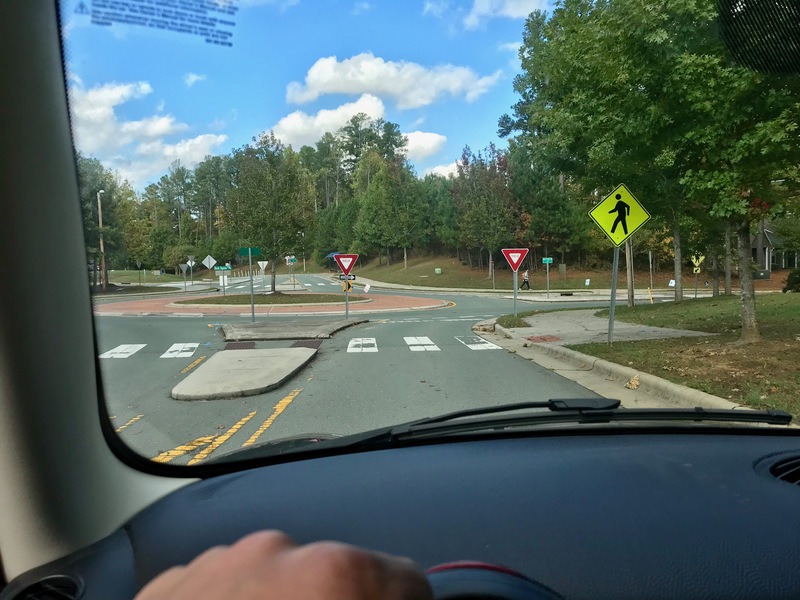 the entrance of the roundabout and wait until they pass. Once you’re in the roundabout, proceed at the listed speed limit of the roundabout to your desired exit. Never stop or slow excessively inside the roundabout, as you slow the flow of traffic and increase the likelihood of an accident. The quicker you can get out of the roundabout, the quicker everybody can get where they’re going. Now, signaling. Contrary to some beliefs, it is important to signal before and in roundabouts. As you approach a roundabout, signal as if it is a stoplight. If you’re in the roundabout and you note a car waiting in the entrance directly after your exit, it is a courtesy to signal with your right blinker as you exit, to indicate to them that they may enter. Finally, some considerations for pedestrians. Pedestrians always have right of way, and as you are approaching a roundabout you should scan for people as well as cars. Especially at 3:55, be cautious of bicycles, pedestrians and reckless drivers. 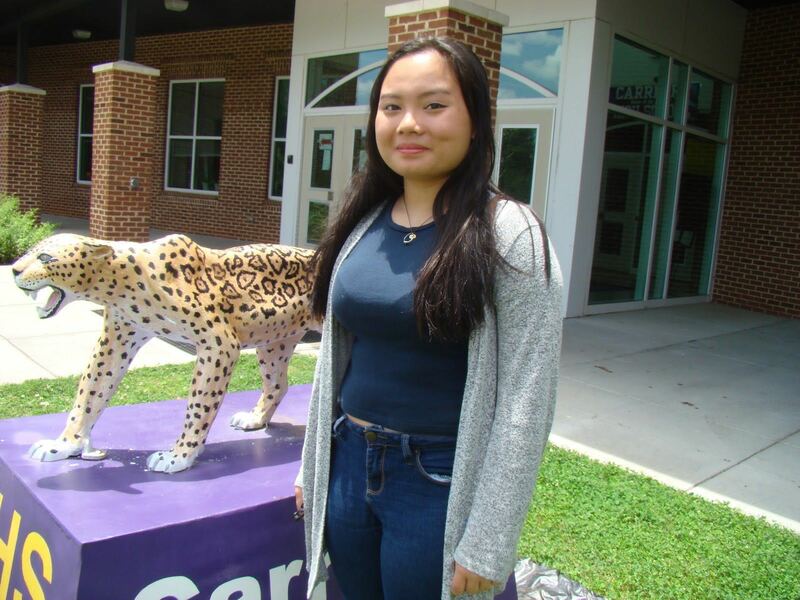 While most students were lounging by the pool or relaxing at the beach this summer, Carrboro’s Paw La La had a unique opportunity to travel to South Africa. La heard about this opportunity, which was through an NGO called Global Citizen, from Social Studies teacher Matt Cone. La applied last year and was admitted into the program, making her one of six accepted and the only high school student. La’s first stop of her trip was to the Global CItizen headquarters in New York City. 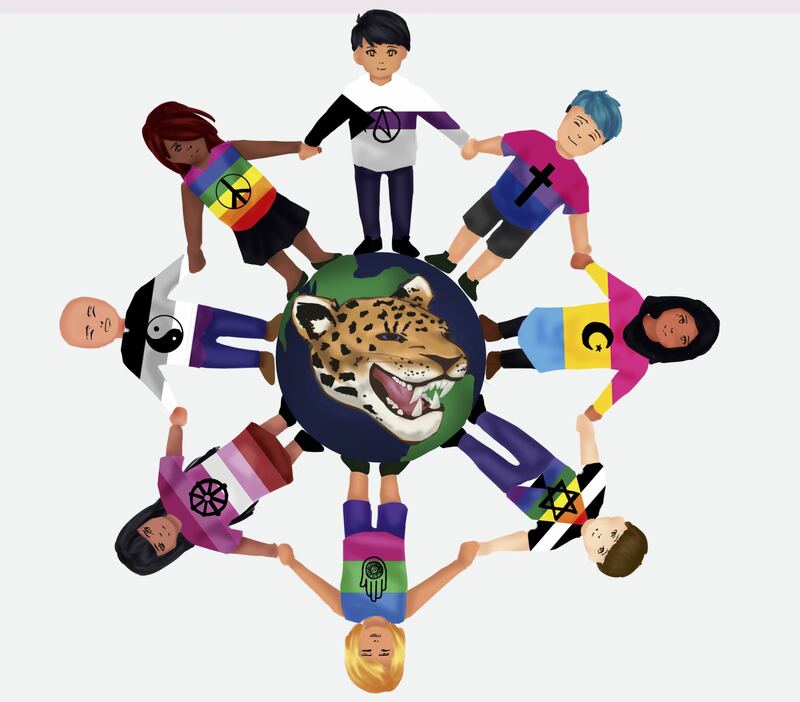 Global Citizen’s mission is to eliminate poverty by the year 2030, and they hope to inspire the younger generation, like La, to join Global Citizen’s mission. “I really enjoyed [Global Citizen’s headquarters] because I was surrounded by people who are working to do something better in the world, to improve the world,” said La. During her ten days in South Africa La attended numerous business meetings, where she learned about different organizations such as Embrace Dignity, Umbiyozo, Unjani Health and Kliptown Youth Program. Seeing that the townships and schools that weren’t integrated, greatly impacted La. She also opened up about her life and how she felt a strong connection to a slum called Kliptown. “Once I entered Kliptown, I felt like I knew Kliptown. I was born in a refugee camp and everything from that town felt so familiar,” said La. One of the hardest things for her was to see the children in the slums. “The children were so happy, but when you look at the statistics, you see where they are going to end up. They aren’t going to go to school and the cycle will continue,” La said. 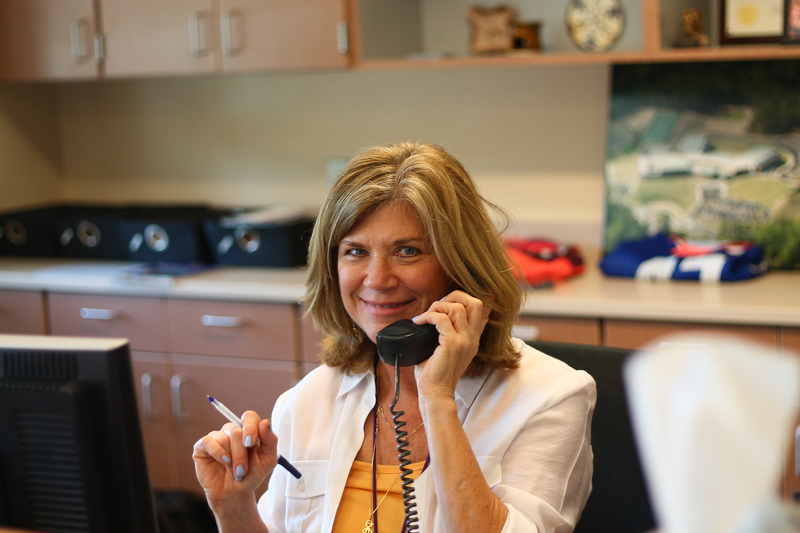 Now that La is back in the United States, she has big plans for Carrboro High School. This year she is starting a club called Global Community Club that aims to create “young leaders who are informed about the world” and global citizens. She recognizes the diversity in the school but thinks that the student body is not connected enough. 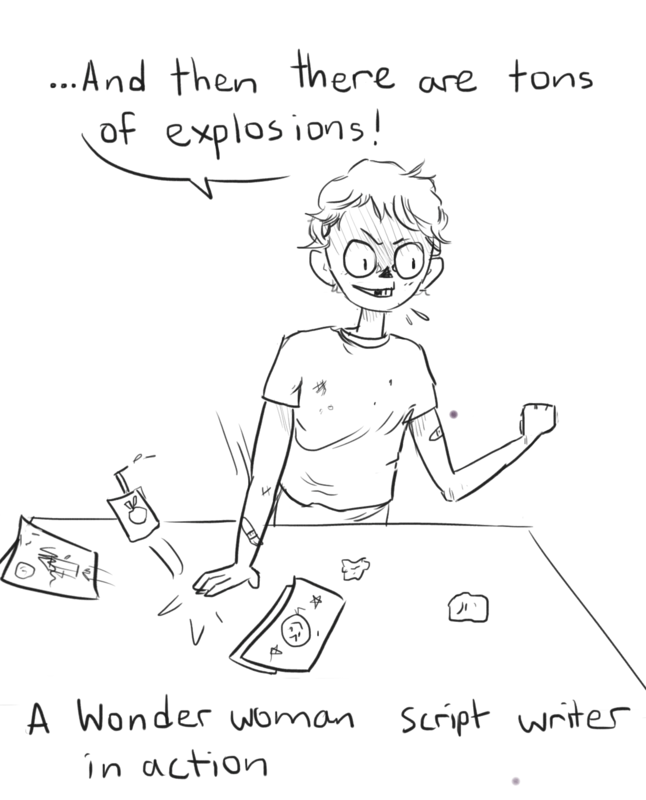 La was once new to the United States and knows what it is like to walk around the school and speak barely any English. She also says that the Karen community has New Year ceremonies and would like to invite all students to join in and engage in a different culture. She hopes to have events like breakfast with new students to create a more inclusive community. Worms, mulch, soil, food scraps, decomposition. To Stefan Klakovich, CHS environmental science teacher, composting is a way of life. Composting, or the decomposition of organic materials, isn’t a new concept to Carrboro. Many middle and elementary schools in the district already have composting systems set in place during lunch, with parent volunteers organizing it. “Why can’t we compost at Carrboro? We should be experimenting with composting at this school. Composting is an underutilized solution, and it solves so many problems,” said Klakovich. 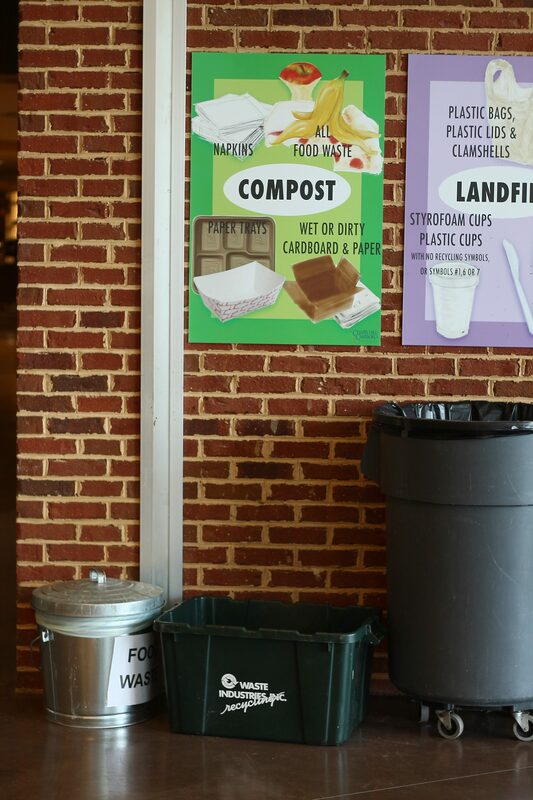 According to Klakovich, who is an avid composter both in the classroom and at home, Carrboro High is not putting enough emphasis on composting. He believes that teaching people about composting is a crucial step to reducing the waste CHS sends to the landfill. “Here, there is no excuse not to do it. It’s the future. We want to get to zero waste, and composting brings us half the way there,” said Klakovich. A CHS student last year, after completing an informal study of the waste in the bathrooms, found that the majority of it consisted of compostable paper towels. 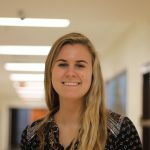 This year, students like junior Eva Nobel have taken steps to make composting more of a priority. we could really reduce waste. It’s not just composting either, but sustainability in general,” said Nobel. Recently, Nobel created the composting club at Carrboro. She runs it with fellow junior Lyra Hitchcock-Davis, and has big plans for the upcoming year. “We just started and we’re trying to improve the composting system at school. We’re planning on composting the paper towels in the bathroom and mixing them with yard trimmings so they decompose properly. We’re also going to work with other schools to exchange programs,” said Nobel. Both Klakovich and Nobel are determined to make a difference at CHS, through composting or other green measures.